My son just turned 10 last dec. We have been on your protocol since March last year. Currently on 1/2 tsp inulin twice a day, 10 ml oilve oil, 5 ml fish oil. We saw alot of gains past few months. Everything was going really well. But past weeks have been really tough. He is back to hitting , spitting and very hyper aggressive. Do i need to reduce/ increase the dosage?? He did undergo a small surgery in Dec . though he was not on any antibiotics but we did stop the protocol for two days. Hello, doctor. A son is 4,5 years, epilepsy. I want to make attempt Your protocol, wanted at first to specify: whether he befits to the babies with cramps. Beforehand enormous thank you. Yes, the inulin often will make the cramps stop. Try cutting back on the inulin or just using the plain NOW Foods inulin. I am 42 yrs and facing anxiety from last two years ,now due to this reason one more symptoms appeared that is eye twitching. May this problem resolved this issue. It can go a long way toward reducing it. Do we need to limit carbohydrate intake for this protocol to be successful? Does rice worsened the bacterial overgrowth? Asian foods are mostly rice everyday , off course with vegetables and meats. But Rice is there almost everyday in every meal . No, carbohydrate restriction is not necessary. Sounds like a viral process with maybe a little too much EVOO as well. I would ask the infectious disease specialist handling your child’s case about the appropriate timing to start this protocol. Are there any theories as to why inulin doesn’t work after rifaxamin? 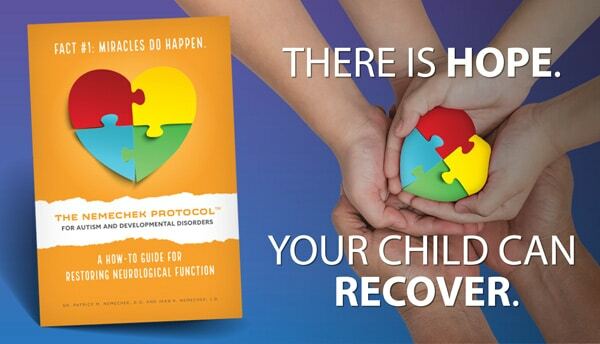 How do I know if I / my child need ANS recovery? Take the autonomic quiz on this website and see how you score. My 12-yr-old son has PANDAS and antibiotics aren’t working for him. His doctor just started him on Prednisone. I’d like to start your Protocol but should I wait until he’s done with the steroid? He already takes fish oil capsules and I gave him a tbsp. of EVOO this morning. I’ve successfully treated many kids who had been diagnosed with PANDAS by other docs. I think these docs are often misguided with their diagnoses of PANDAS (i.e., can’t see the forest for the trees). Whether its traditional fish oil or cod liver oil, just dose them with the same omega-3 equivalent amounts. I have got question regarding spitting. In 11 months journey for 4 year old its on nd off process .we have 2 months of spitting nd then it stops for 5-6 weeks nd starts again. Lowering inulin didnt help at all. So is it kind of Ans dysfuntion which need more time / oil to heal or missed stage ?? No supplements leads to relapse. This is a good lessen to all – take your supplements with you when traveling. Not a question but a request. Please plan a visit to India or other countries where there a lot of kids needing to see you. I know you are a very busy physician but please think about it. Parents with kids on spectrum want to meet you personally but its just impossible to come to US. I am sure if you plan one week visit , you will be fully occupied. He shouldn’t need any supplements to recover from a cold. My son is 4.5 years .I started giving my son “Inulin” from last 4 days with small quantity.I saw noticeable difference on 3rd day itself ,he is little hyper.At the same time, I noticed ‘mouth ulcers’ .I would like to know if it is normal.If not, what alternates I should provide him to get rid off ‘mouth ulcers’. Mouth ulcers are not normal and possible just a reflection of the shifting bacteria. Continue with you increases of inulin and they should resolve. My 6 year old asd son has been on protocol for six months. He has been taking 1 tsp inulin, 2 caps NOW and about 30 ml olive oil. There have been improvements in speech and in other areas, but I haven’t seen any reduction in stimming. He is also a bit hyper. I thought that I should decrease the fish oil to 1 capsule NOW dha. Would that cause a relapse or lose any gains that he has had so far? Just make sure you’ve eliminated other supplements and probiotics and be a little more patient. The stimming will stop soon. Yes, strange behaviors like this can be a part of the awakening and reflect the underlying developmental instability that is now visible since the suppressing effects of propionic acid are now gone. Cutting back on the dose of inulin and going up more slowly can help him (and you) through this. Watch out YouTube video about The Modified Protocol with Anxiety and Aggression. If blood results indicated positive HHV6 PCR and high HHV6 IgG, would you treat? I high IgG titer for nearly any viral test is meaningless. Just indicates past exposure/infection and the high amounts generally occur with systemic source of inflammation. PCR testing is prone to lots of error as well depending on the virus tested and clinical circumstances. Best to have an infectious disease specialist help you with this question. I just started biomedical treatment for him 2 week ago and then I heard about ur treatment and join fb group I find it v effective. So my question is it ok to start ur treatment along with biomedical ?? Cz my son showing huge improvements already. No, do not do both at the same time. No, I’m, sorry. It is against U.S. regulations. I’m not certain but most likely this is due to her underlying autonomic and developmental imbalance. Can autism stunt growth? My 4yr old doing well 1 yr on protocol but is small in height and weight. Any views or experience with this issue in kids? 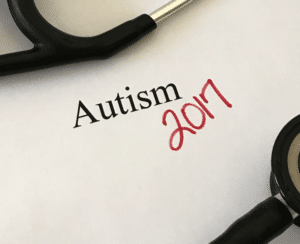 The bacterial overgrowth (SIBO) that is essential in trigger autism can also stunt growth through a variety of effects. Reversal of SIBO with inulin or rifaximin helps increase growth and normalize weight gain. I would add the fish oil, even in a smaller than necessary dose and slowly increase with time. please doc is their any kind of formula that has what my grandson need sin it? He is not consuming anything right now except carnation instant breakfast and milk and maybe rice cakes or chips( crunchy and salty foods). I am afraid he will not drink it if we add the supplements to his drink. Why not give it to him separate from the carnation instant breakfast? because other than mixing things with a fluid ,holding him down and squirting it in his mouth he will not take anything. He has sensory food issues and they are getting much worse. This is question as well as observation. I switched to strawberry flavour fish oil from lemon based and gave to my daughter for one month. I think she has regressed clearly. I am kicking myself to think that more DHA could benefit her and hence I switched. I am pretty sure the regression is due to strawberry flavour. Doctor – How long would it take to undo the effects . I have started her back on lemon flavour. I have just purchased 5 bottles of Californian Olive Ranch evoo. However it is different to the last one and is labelled ‘destination’. The oil is certified to be extra virgin, but, is produced from more than one country and bottled in California. Can I use it or will it harm/disrupt the protocol for my daughter? The problem with the Destination blend of California Olive Ranch is that the oil does not go under the same rigorous testing as the COOC-certified process. I personally would not use it. He needs the doses of each for his age but because of the smaller than average intestinal length, you may want to increase the dosage of the oils over 2 months to give the gut ample time to adapt and increase its capacity to absorb the oils. Is corn polenta (corn flower) and baken allowed in your Protocol? Is high fructose corn syrup allowed on your Protocol? There is more information in the book as well as on our YouTube videos to answer these questions. Sounds fine. As long as it doesn’t have prohibited high 0mega-6 oils or probiotics you are OK.
Hi Dr Nemechek.! Thank you so much for the wonderful work that you’re doing. My question is related to ADHD. Have you ever found that any of your ADHD patients did not recover because their underlying issue was not autonomic damage? Or is it always autonomic damage? If a general chemistry, blood count and thyroid panel are normal and there are no overt heart problems, ADD is almost always in large part autonomic. Mine is transcutaneous as well. I have a doubt you told homeopathic medicines not allowed. But if its a prescribed medicine such as if its helping anxiety stress and all like adhd medicine which other doctors giving can we continue that. Yes but just be aware that if there is minimal recovery that you may need to try stopping it or switching to another medication. I’ve never seen SIBO do this. Chronic rashes in that area can be from allergic reaction to soap or certain fibers in undergarments, eczema and psoriasis. Sometimes from candida but I doubt this since he is potty trained. Thank you so much Dr. for your reply. Will your protocol still be beneficial if it’s not SIBO? I’m a little confused as psoriasis and I believe eczema too is an autoimmune condition. I have read many people seeing benefits on NP but I’m not sure. We have just started him on inulin on 10th January, so I thought that the recent flare up could be a sign that it’s working. Hsrd to say what the flair is from exactly but there is a growing amount of evidence that virtually everyone with an autoimmune disorder has SIBO to one degree or another. Thank you so much dear Doctor. I really want to meet you one day.. I hope it’s not for my son’s medical needs.. just a casual meet where I can extend my heartfelt gratitude to you. . May God bless you and your family always. Thank you!! You are very welcome and I hope we meet someday as well. Occasionally when a child under 10 have little to no improvement and there was little to no sign of an awakening, I will recommend a 10-day course of rifaximin. We are in the protocol since august 2017. We are presenting a plateau.. we have 6 months with no Advance. We are considering double the dosis of fish oil. But my question is “double” means jump in to the next age level? Or just add the same amount into the dosis? Double the starting dose for that age group. Probably some anxious behavior from the awakening. my son is 7 years old.has heterozygous mutation for mthfr both genes.should i consider giving 5htp with your protocol?will it make a difference? I would only give it if your neurologist thought is was necessary. Hello Dr. Nemecheck, I was just hoping to ask you a question. We purchased your book and just started our 2.5 year old son. We want make sure we have everything correct. We purchased Nordic Naturals children’s dha Xtra. It says ages 1-6 and says great taste with a picture of grapes on the bottle. We know that you recommend no flavors, however we looked online, ultimate omeagas have pictures of lemons on them. We couldn’t find one that didn’t have a picture of a fruit on them. We just wanted to ask you if these are ok? Well, we’ve only are suspicious about the strawberry flavoring and thousands of kids are doing well with the lemon flavored NN fish oil. Haven’t heard anything about berry good or bad. Why strawberry flavoring is suspicious? I am using it for my son. should I stop? We had a few kids relapse after switching from lemon-flavored Nordic FO to strawberry-flavored Nordic FO. Thank you so much for your reply Dr. Nemecheck. My husband and I are planning to make an appointment with you for our son if we need to in the future. A big thank you from Pennsylvania. I don’t think the issues is with the constituents of the fish oil per say but instead lies with the varieties of chemicals used to create a strawberry scent. The fruit flavoring in the fish oils are from a wide variety of chemical compounds and not from the fruit itself. I wonder if one of the chemicals used to re-create the scent/flavor of strawberry is to blame. Mere speculation at this point. Keep pushing and be patient. on the protocol since February 2018, I had encouraging gains, my daughter must see the dentist because she has several quarrymen, what put the fillings in her teeth can harm it remains that it is metals and I am not not very comfortable with that? I personally have amalgam filings and I don’t worry about it. But if you are concerned, there are porcelain and other options that can be used. My son , 2.7 yrs who doesn’t have an ASD diagnosis yet but has some delays had an awakening on 1/4 +1/16 inulin three months ago . I increased his dosage to 1/2 teaspoon in anticipation of more gains such as being potty trained. But I have noticed he has some old behaviors like opening and closing doors back and generally defiant and whining a lot. Is He experiencing another awakening or should I go back to my previous dose. Doesn’t sound that bad. Might be a little more awakening or from a minor injury. My 6 year old child with ASD and speech impairment was on protocol for 6 months, with speech and occupational therapies for over a year. Recently started to have outbursts – screaming hysterically, crying. He became more verbal, his articulation got better. The only change in his routine was adding brain training program. I cannot find answers. If this becoming highly emotional is related to new addition or as a result of being on protocol. The protocol won’t cause this kind of reaction. There are a wide variety of brain training programs so its hard to comment if this could do this. Sounds more like a injury (physical, emotional or inflammatory) might be responsible. Also, addition of other supplements and especially probiotics could trigger something like this. Nice to hear of his improvements. Stimming comes in every imaginable form. Hello Doctor, My son now aged 5 has been on the protocol since an year with very slow improvements. He has socio communication disorder. He is on 2 tsp inulin since a long time with no real gains. I am wondering if I could put him on Rifaxamin since i cant see inulin helping him even with max does? Can you please let me know your thoughts. Thank you so much! Fish oil and olive oils are also needed for recovery. Hi, I would like to ask about lactose intolerance and fructose intolerance, should the protocol be excluded from products that contain these substances or it is not necessary, my son has 6 years and on the protocol is 2 months, 1\2 tsp inulin and 1 capsule omega DHA DPA 500, 30ml fish oil plus cooking, we go slowly and he is doing fine. I routinely discontinue dietary restrictions after the children are on adequate doses of inulin or after using the rifaximin. First of all, thank you so much for your help. My son has been on your protocol for 5 months with good gains. I saw the post about leucovorin. My son also got FRAT positive through a blood test, but we stopped after starting your protocol. Do you think he’ll need to start that again? My son still doesn’t spit out toothpaste. All fluoride free toothpaste has either xylitol or sorbitol in there. Which are both no-no’s for your Protocol. Is it okay on toothpaste? Does such a unicorn toothpaste exist? What do you suggest as far as toothpaste that won’t interfere with your protocol? Thanks! Don’t worry about the toothpaste. It won’t prevent recovery. He’ll be spitting it out soon enough. My son 6 year old is on the protocol since 1 month.He had little incremental gain in language and perception of his surroundings. Since 2 days his verbal stimming and hand flapping behaviour is high comparatively but he is not seeming confused or aggressive like before protocol. His dosage is olive oil cooked with curries just more than 2 ml, inulin morning 1/8th and evening 1/8th,2.5ml fishoil. Please guide me whether he is on right pathway.